By Lisa Steele on November 16, 2012 Visit Lisa's Website. Salmonella is most often contracted from un-cooked or under-cooked eggs and raw chicken. Most often contracted by chickens who come in contact with feces from infected rodents, the bacteria can then be transmitted to humans who eat improperly cooked meat or eggs or who put their hands in their mouth after touching chickens or eggs. 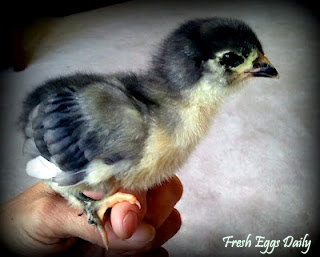 Salmonella can also passed down through the egg to chicks by mother hens who are infected. Children under five years old make up a large number of Salmonella cases, most likely from hand to mouth transmission of the bacteria. Symptoms in humans include cramps, diarrhea, nausea, chills, fever and/or headaches, usually appearing within 72 hours of eating contaminated food. Salmonella, while not usually fatal, can result in death in the elderly, sick, those with compromised immune systems, pregnant women and children. Symptoms in chicks and chickens include weak and lethargic birds, loose yellow or green droppings, purplish combs and wattles, a drop in egg production, increased thirst, decreased feed consumption and weight loss. It can be deadly in hens if not treated. 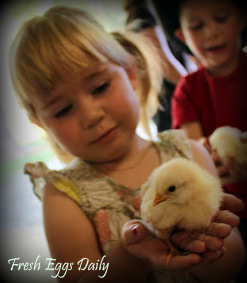 Wash your Hands – Always wash your hands in warm soapy water for at least 20 seconds after handling chicks, hens or eggs or use alcohol-based hand sanitizer and teach children not to put their hands in their mouths, especially when around the chickens. 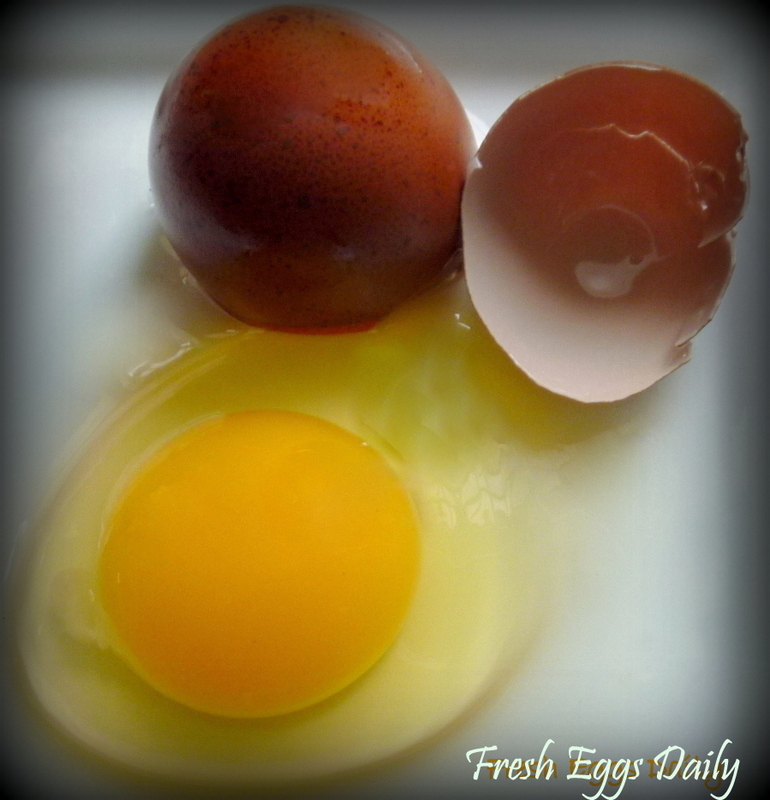 Promote Safe Kitchen Practices – Cook eggs to at least 160 degrees so the whites are firm. Cook poultry to at least 165 degrees so no pink remains and juices run clear. Keep raw poultry separate from other foods and consider using a cutting board dedicated only to poultry. Use paper towels to clean kitchen surfaces instead of sponges or dishcloths. If you suspect salmonella, an avian lab or vet can test your flock and suggest treatment with antibiotics. Surviving chickens will be carriers of the disease however, and eggs laid by those hens can contain the bacteria. The good news is that your backyard eggs, as long as proper precautions are taken, are unlikely to contain or transmit Salmonella to your family. The threat of Salmonella should NOT dissuade you from raising backyard chickens, handling them as often as possible OR cooking with your eggs. Cooking destroys the bacteria, so be sure to cook eggs properly before eating if you are concerned. 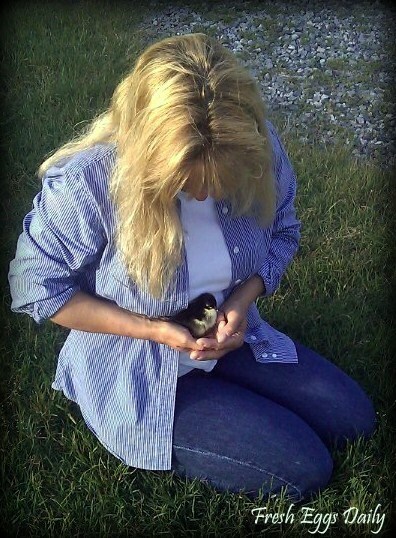 Join me on Facebook and my Blog for more chicken-keeping tips, trick and advice with a double dose of creativity. Is Community Chickens available in spanish?